Frank Lampard is a former English soccer player who started out at West Ham United and went on to an illustrious career at Chelsea FC in the English Premier League. He recently took his first manager position at Derby County FC, a second-tier English soccer club. Lampard loves his watches and has been regularly spotted wearing timepieces by Rolex and Richard Mille. And he particularly likes Patek Phillipe. On the day of his unveiling as Derby County manager – May 31, 2018 – he wore a Patek Philippe Calatrava Reference 5153G-012, which is one of a limited edition of 80 watches released in 2015 in celebration of the Patek Philippe universe in the UK, a part of the 175th anniversary celebrations. The London collection was first showcased during the Patek Philippe Grand Exhibition at the Saatchi Gallery in London (see Eleven Regal Timepieces From Patek Philippe’s Grand Exhibition At London’s Saatchi Gallery). On July 14, 2018 he took charge of his first pre-season match sporting another Patek Philippe, this time a Patek Philippe Nautilus. And not just any regular Nautilus, but the 40th anniversary Reference 5976 chronograph in white gold. This timepiece, along with its sibling, Reference 5711/1P, received a lot of attention due to the embossed 40th anniversary writing on their dials – at first negative, then positive – which is much subtler in the metal than on photos. Both watches proved very popular in the end (see From Zeros To Heroes: The Patek Philippe Nautlius 5711/1P And 5976/1G Anniversary Watches). Frank has been a big watch guy for some time now. 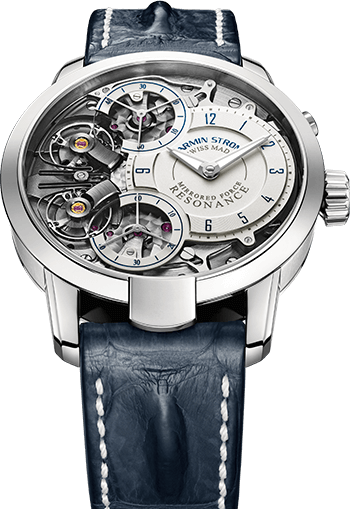 I have it on good authority he was an early investor in Greubel Forsey!